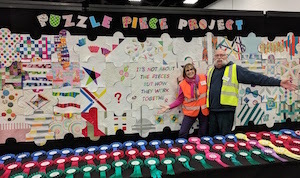 This display will be similar to the Puzzle Piece Project wall from 2018. 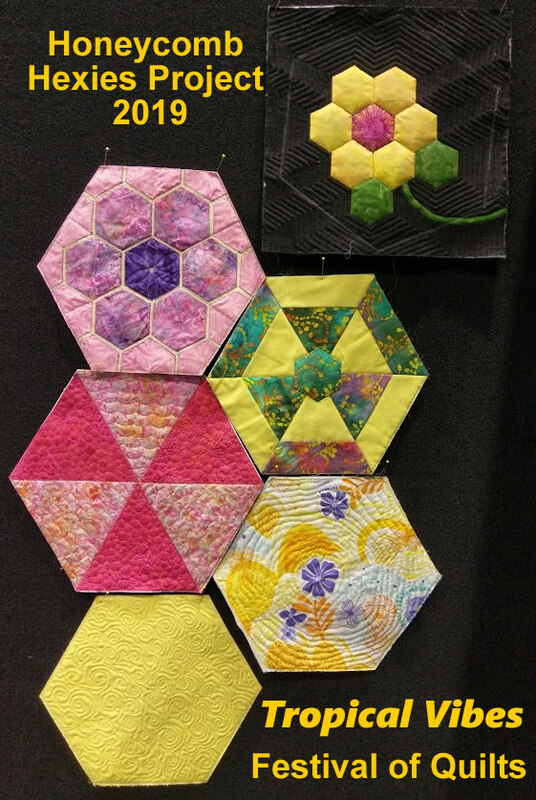 Donate a 15" square, finished but unbound, incorporating hexagons in the square or even just a quilted block of that size. We will cut them into the hexagon shape for a fantastic honeycomb wall. We will gather entries all year but all pieces must be received no later than June 6, 2019. 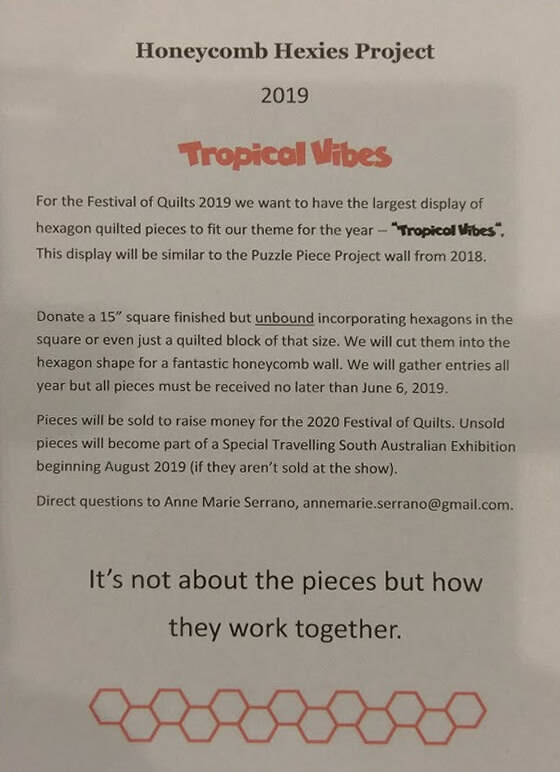 Pieces will be sold to raise money for the 2020 Festival of Quilts. Unsold pieces will become part of a Special Travelling South Australian Exhibition beginning August 2019 (if they aren't sold at the show). Copyright © SA Quilters Guild.